Huawei is all set to launch two new mobile phones in mid of the month May. 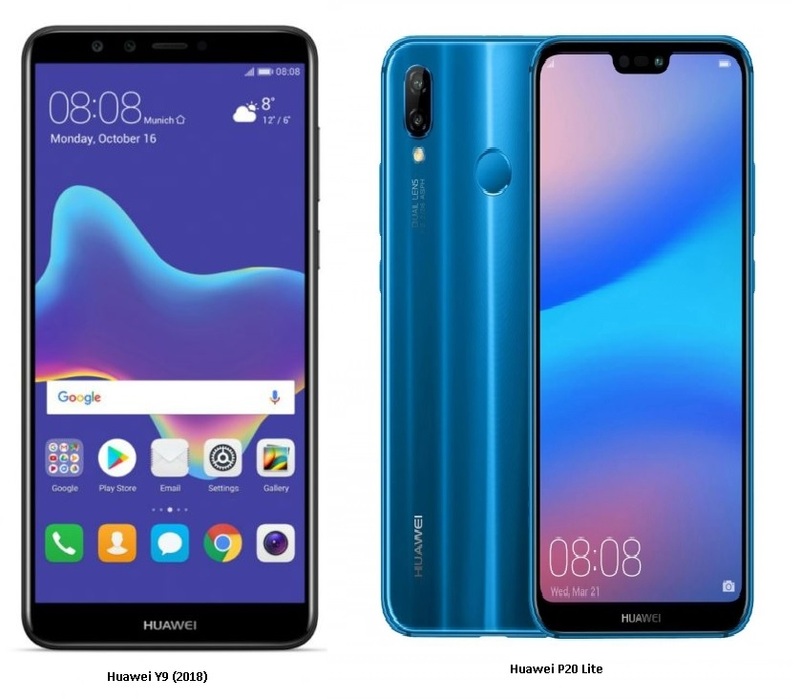 The upcoming mobile models, Huawei P20 Lite and Huawei Y9 (2018) smartphones are filled with rich features and high-end technology. The P20 Lite model comes with a 5.84-inch touchscreen display whereas Huawei Y9 (2018) has a 5.93-inch of display size. The Huawei P20 and Huawei Y9 (2018) is powered by Octa-core HiSilicon Kirin 659 processor and Octa-core (2.3 GHz, Quad core, Cortex A53 + 1.7 GHz, Quad core, Cortex A53) processor respectively. Coming to camera features, P20 Lite model has 16-MP primary camera and for selfies, you can use a 16-MP front camera. On the other side, Huawei Y9 has a 16-MP rear camera and a 13 MP front camera. As far as batteries are concerned, Huawei P20 Lite and Huawei Y9 come with 3000mAh and 4000mAh of battery capacity respectively. With such decent battery backup, both the smartphones provide sufficient hours of calling and use of multiple applications. Coming to the connectivity part, the Huawei P20 Lite comes with Wi-Fi, GPS, Bluetooth, NFC, FM, 3G and 4G options. As far as Huawei Y9’s connections options are concerned, it includes Wi-Fi, Mobile Hotspot, Bluetooth, Volte, USB connectivity, USB charging, 4G, 3G, 2G support, etc. Both the smartphone models are available in three colors variants including Black, Blue, and Gold. You can purchase Huawei P20 Lite at the approx. price rate of 31,999 INR, whereas Huawei Y9 (2018) is available at the cost of near about 15,999 INR.